My first crop of kale finally came in (from the Red Russian plant) and while I had anticipated making something summery, like the Kale and Ricotta Salata Salad, it’s been so cool and rainy here that I decided to instead do a favorite that I never got around to this past winter (has winter really passed given that it’s been 60 and rainy?). 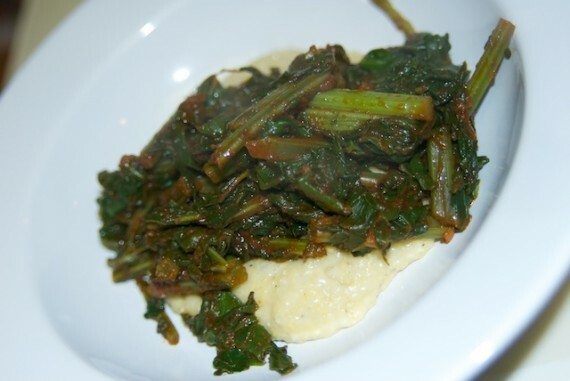 I stumbled upon this recipe for Braised Lacitano Kale with Tomato and Anchovy Soffritto in the A16 cookbook, and it was the first way I ever made kale. I fell in love and didn’t branch out trying other recipes for quite a while. 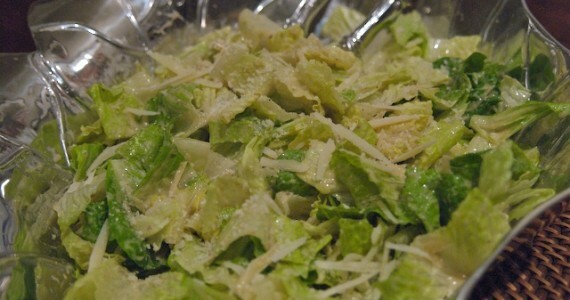 Caesar salad is the salad that turned me onto eating salads. The first time I visited La Pizzeria in Campbell (our local pizza joint), for some reason I thought, “What the heck! It’s a sunny day. Let’s eat some leaves with my pizza!”. So I did, and I liked it. Loved it, even! Couldn’t get enough. Something about the crispness of the leaves, the creamy yet minimal dressing, and the saltiness of the anchovies and parmesan really worked for me that day.